Choose the ELB 1200 Pro head for general photography. The ELB Pro offers great a great balance between performance and price, making it the most versatile of the three ELB heads. This set also includes the EL-Skyport Plus Transmitter which offers simplicity, durability and reliability with the range now extended up to 200 m (656'), as well as a Location bag for safely carrying the ELB 1200 and accessories, and it can be can customized and reconfigured to fit the equipment. The set also includes: 1x ELB 1200 unit, 1x Li-Ion Air Battery & 1x Pro Head. The ELB 1200 is one of the most complete and portable flash systems. The kit includes: 1x EL-Skyport Plus Transmitter, 1x Location Bag, 1x ELB 1200 unit, 1x Li-Ion Air Battery & 1x Pro Head. 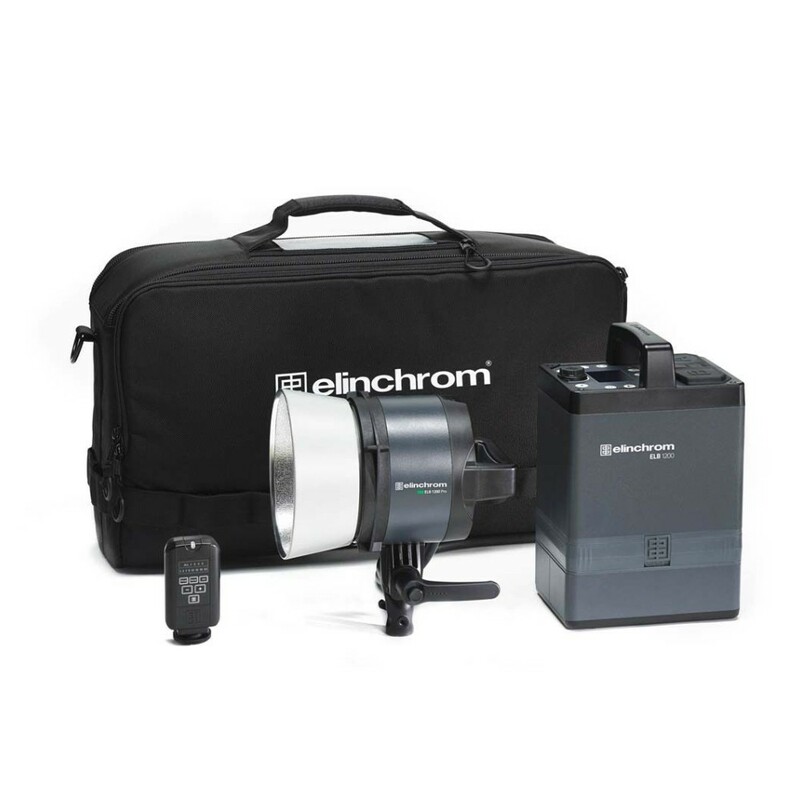 With a weight of only 4.3 kg, the Elinchrom ELB 1200 is a remarkably powerful, robust and portable battery pack designed to take photographers to new heights. Equipped with a bright dimmable LED modelling lamp, the flash heads provide exceptional lighting capabilities for both still photography and video. Choose the ELB 1200 Pro head for general photography. The ELB Pro offers great a great balance between performance and price, making it the most versatile of the three ELB heads. The head features a tough construction, yet remains lightweight - ideal for on-location use - and can be used for both stills and video, thanks to the continuous LED modeling lamp with silent fan mode. The new generation of EL-Skyport Plus transmitters provides photographers with an extra range for triggering and remote power control on all actual Elinchrom units from up to 200 m (656 feet) away. The EL-Skyport Transmitter Plus is designed with a swivel function that enables rotation to optimize reception. Its strong and robust mechanics makes it more durable than ever. In addition, the EL-Skyport Transmitter Plus works with AA batteries, available everywhere.